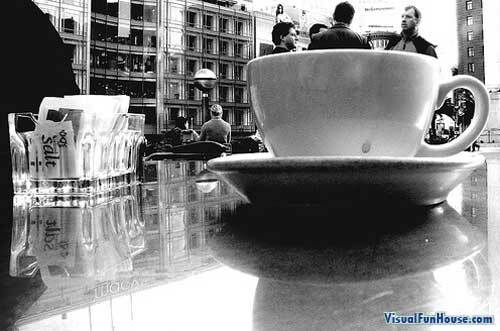 Giant Coffee Cup Optical Illusion is a really cool perspective optical illusion was taken by SFbuckaroo on flickr. This picture reminds me that giant tea cup ride back at Disney world, the good old days of being a kid! The unsuspecting bystanders “inside of the cup” just happened to be standing in the perfect location for this shot. I hope this picture inspires you to take your own wacky perspective shots.. and don’t forget to send them in!